Wrongful death is basically what its name implies – it is a death of an individual that is wrongful under civil law. Wrongful death is a civil legal cause of action, not a criminal one. Therefore, wrongful death is not the same as murder or manslaughter, which are common offenses under criminal law that involve the death of another. Unlike the criminal court system, the primary remedy for victims of wrongful death is a monetary payment. It can sound cruel and indifferent, but outside the criminal legal system, it’s all that’s available to punish those responsible for wrongful death and to compensate the victims of wrongful death. If a person’s mistake or intentional conduct results in the death of another, the legal ramifications are going to be more serious. Therefore, as a result of the permanence of death and the impact it will have on others, the monetary amount at stake is much higher. With so much money at stake, the responsible party will want to reduce this amount as soon as possible. It’s possible for their attorney or other legal agent to meet with the legal representative of the deceased. The purpose of this meeting is to have the legal representative agree to settle any potential legal action as quickly, quietly and cheaply as possible. So before signing anything, have wrongful death lawyers look over the document. It’s possible the settlement terms are reasonable, but it’s also common for the settlement amount to be much smaller than it should be, or trick the person into signing away certain legal rights. Another side effect of having a lot of money at stake is that the responsible party will fight any wrongful death lawsuit very hard. This can be for a variety of reasons, such as trying to wear down the plaintiff or honestly believing they are not legally responsible for the wrongful death. Another area of disagreement that can lead to contentious litigation is when the responsible party admits they are legally liable, but they disagree as to the amount of money they should have to pay. 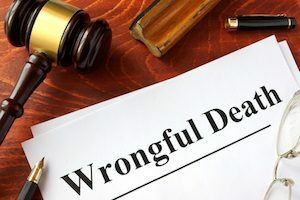 Any wrongful death plaintiff must understand that the lawsuit may take a long time and the responsible party will often do anything possible to stall the case. It’s not fair that it often works this way, but it’s a reality you as a potential wrongful death plaintiff should understand. Do You Need Wrongful Death Lawyers? Hopefully, you don’t have to deal with wrongful death lawyers. But if you somehow do, call and speak with one of our attorneys at Williams & Williams, LLC by dialing 770-823-2711.